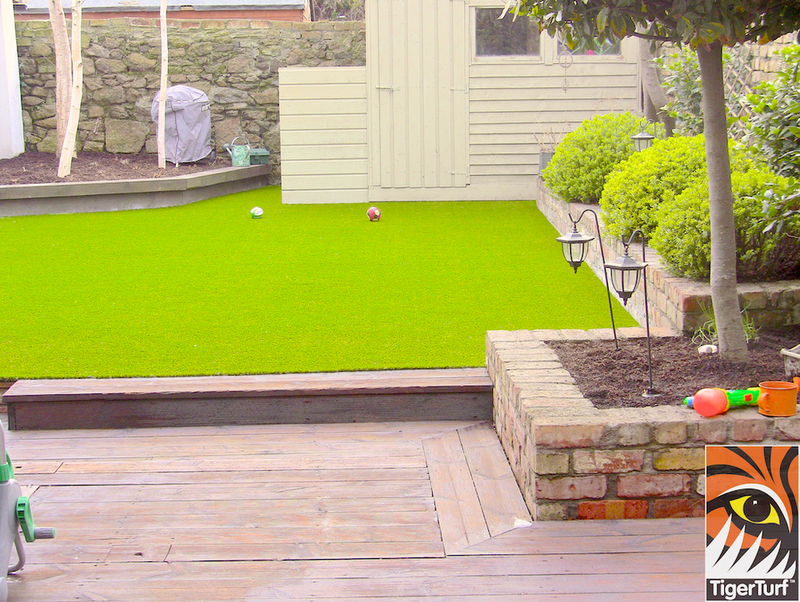 This installation was part of a complete re design and build project to transform the garden into a usable space for a Modern young family. 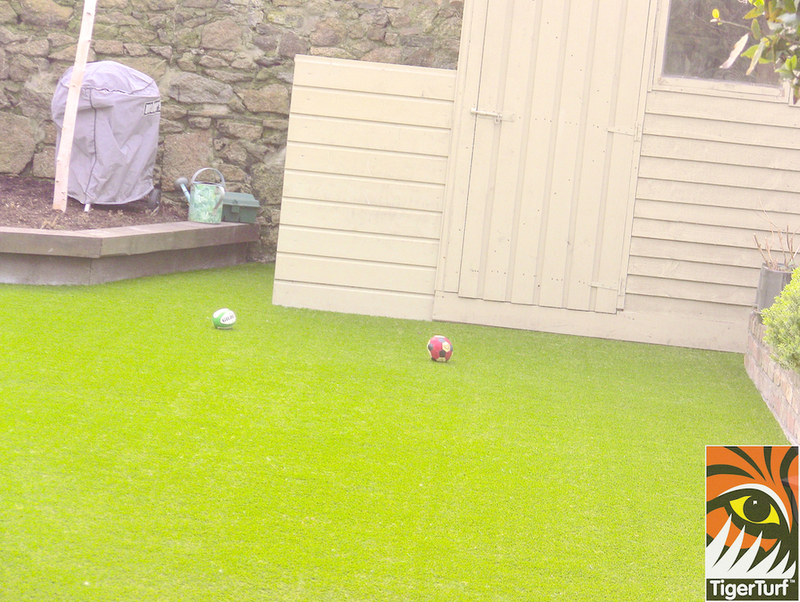 Client had viewed a TigerTurf installation in their friends Garden and were ready to invest in their new premium quality lawn. 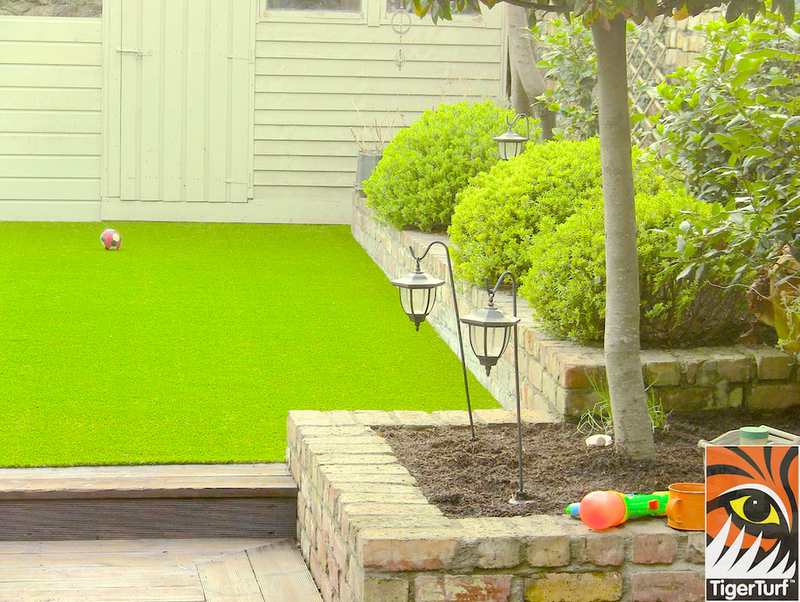 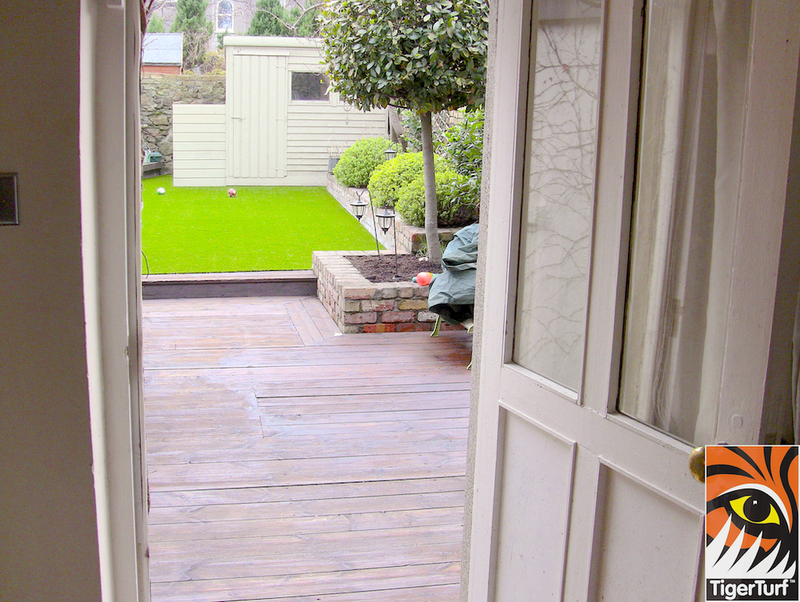 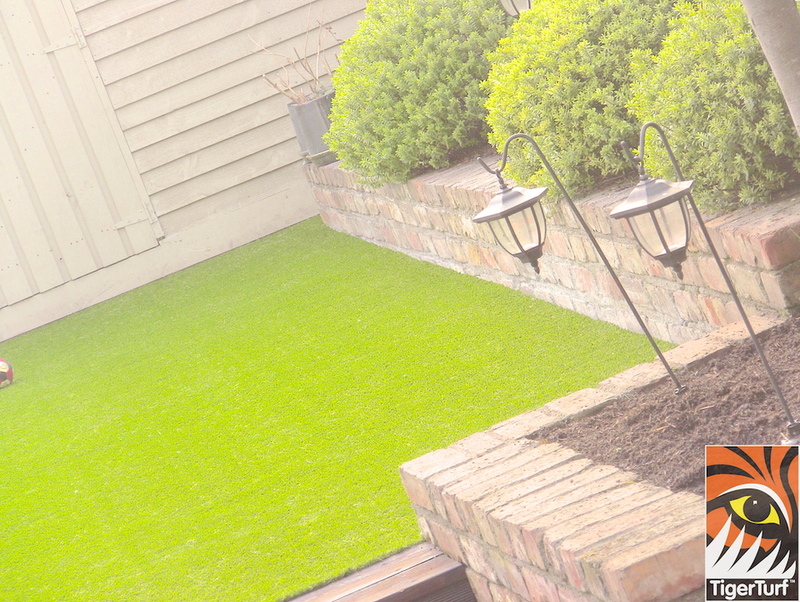 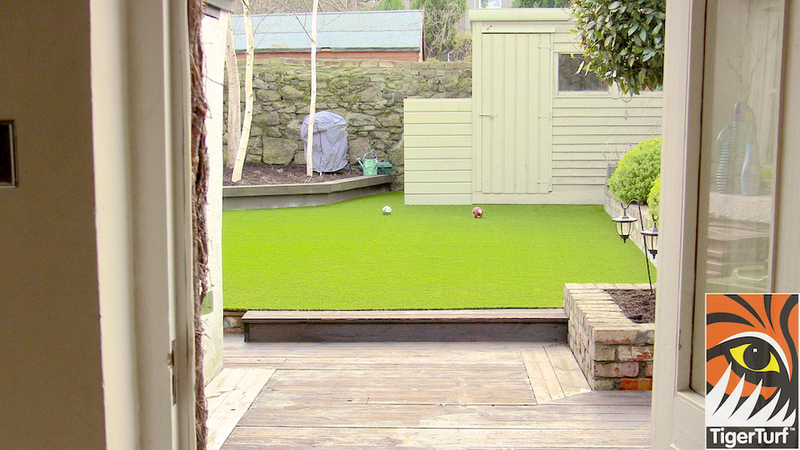 a very tidy and complimentary green lawn now takes centre stage.